Texas is not an ideal climate for the olive tree, which prefers more temperate conditions year-round than the Lone Star state can provide. However, Texas gardeners can try to grow olive trees in their yards. They may wish to grow olives in containers for portability, since they will need to provide cold protection during winter frost periods. Growers in east, central and south Texas should be able to grow olive trees with some success; north Texas is too cold for this tree. Research olive trees currently being grown in your part of Texas by visiting olive orchards or reading the labels of locally made olive oils. Also review information at the Texas Olive Oil Council. If other growers are having success with these olives, it betters your odds. Texas A&M recommends Ascolano as a cold-hardy olive and Barouni as one better suited to southern Texas heat. Visit local nurseries and garden centers to see what types of olive trees are being sold near you. Purchase an olive tree from a local nursery. If you intend to plant the tree in a container, buy potting medium and a container with drainage holes. Look for a tree that has an even, straight trunk and well-spaced branches. Avoid thin, reedy trees or trees that cluster branches to one side. 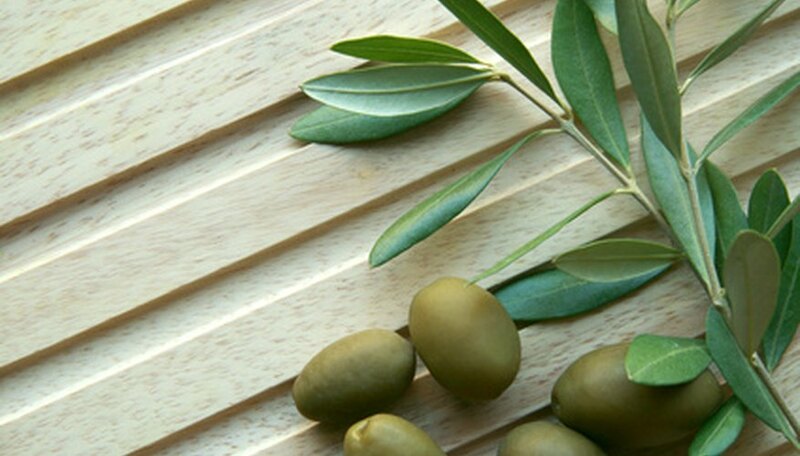 Order trees online only as a last resort if you cannot find olive trees near you. With online olive trees you cannot see the tree beforehand, nor do you have assurance it will grow in your area.